We didn’t want to get it wrong. Earlier this year, we decided it was time to start opening our events with a Land Acknowledgement Statement. Our Women in Leadership Luncheon, held in Barrie last June, would be the first. As an organization mandated to serve the best interests of our local communities and all the people who live here, we wanted to ensure our intention to be appropriate, respectful and accurate was fulfilled. 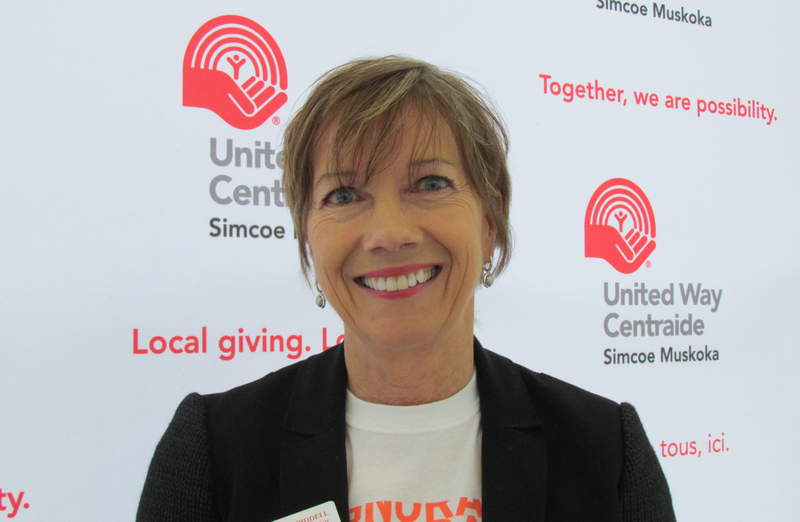 Before we begin, United Way Simcoe Muskoka acknowledges that we are situated on the traditional land of the Anishinaabek. The Anishinaabek include the Ojibwe, Odawa, and Pottawatomi nations, collectively known as the Three Fires Confederacy. We are dedicated to honouring Indigenous history and culture and committed to moving forward in the process of reconciliation and respect with all First Nation, Métis and Inuit people. Our guest speaker for the event was Charmaine Nolan, Indigenous Justice Team Lead at Barrie Native Friendship Centre. As a final check, we ran the wording by her just before Dale approached the podium, and received the go-ahead. Although practiced, the words still felt unfamiliar to say. Dale was sure of its sincerity, so there was comfort in that. As she spoke, there was a respectful silence. When she finished, there was warm applause, some cheering, and an indication of hope for our shared future. “I love the awkward part,” Charmaine responded, when told about this blog. “It does feel kind of weird and I feel awkward sometimes, too. I’m still learning and will go ask. For anyone planning to their own, she suggests reaching out to a local Indigenous organization like Barrie Native Friendship Centre (705-721-7689) for some tips. For those not in the Barrie area, calling 2-1-1 could provide an appropriate referral. For a primer on the topic, the Association of Municipalities Ontario published Guidance on Traditional Land Acknowledgement Statements on March 15, 2018. Local entrepreneur Don Wright, who owns Running Rabbit Productions and is of Métis heritage, said a land acknowledgement is an important sign of respect. Dale had her second opportunity to present the land acknowledgement as she opened our Labour Breakfast 2018 event in mid-October. The pronunciation of a couple of words still required concentration to get right, but confidence was born of that first success. Gone was the awkwardness. What remained were the respectful words of an ally, inviting others to join the journey. Indigenous writer Selena Mills explores What are land acknowledgements and why do they matter? Additional resources and recommended readings follow her article.